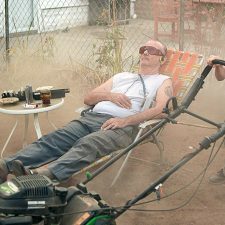 Summertime can be tricky for fair-skinned beauties like Naomi Watts (and, ahem, me). Creating a natural, lightly bronzed look is not easy—too often you either end up with caked-on-bake face, uneven bronzy blotches, or your usual pale mug for fear of ending up with the previous two possibilities. 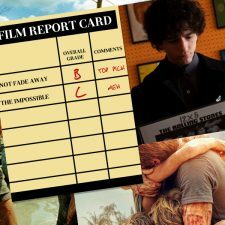 But Naomi Watts nailed it, and so can you. Read on to learn how to get her gorgeous, summer glow. Start with a clean face, moisturize with the product of your choice, and then apply your usual foundation. Be sure to use one that’s light and close to the true color of your skin. My staple is Neutrogena Healthy Skin Liquid Makeup in Classic Ivory. You’ll want to choose a bronzer that is not super shimmery, and this is tres important. Otherwise, you’ll get that just-came-from-the-beach face, which is not what we are going for here. 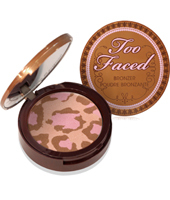 Too Faced Pink Leopard bronzer is a perfect pick because of its bronze, pink, and neutral shades. 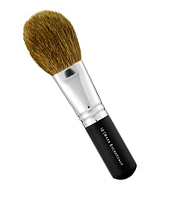 Using a fluffy, big bristled brush, dust generously into your bronzer. Make sure to lightly stroke your neck and décolletage area as well, so your face matches your body. 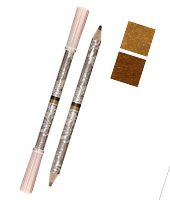 For eyebrows, use a light pencil, like Paul & Joe’s in Duo Blonde. 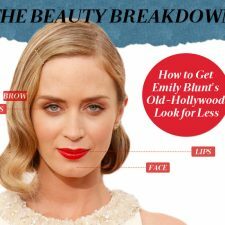 Apply with soft strokes: the idea here is to make the brows even and fill in any empty spots, but not to add extra color. Set with Tweezerman’s Browmousse. 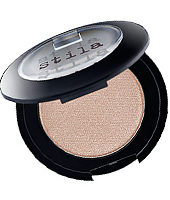 You’ll need only a hint of eye shadow; I suggest either Stila’s in Eden or Lorac’s in Sand. Next, dab a touch of Cargo Eyelighter in White to the inner corners of each eye and blend. This stuff is fantastic and can be used for a variety of looks. It’s an instant way to make you look awesome and awake. Once you’re done with your lids, it’s time for liner and lashes. You don’t want to create a super thick cat eye, however, your lash line does need something to make the eyes pop. 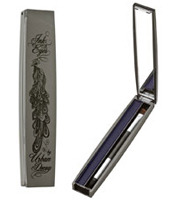 Urban Decay Ink for Eyes in Zero is perfect—its creamy formula makes it easy to apply and one stroke is just enough. Cool mascara trick: start at the base of your lashes and wiggle your wand left to right—this creates volume and the illusion of length (versus over applying to the tips, which is what most people do.). Work the wand through to the top, still wiggling as you go (this helps separate lashes). If you want to apply a second coat, simply place the wand under your lashes and blink twice. Done! Lastly, we move on to lips. Naomi is wearing a pretty pink/peachy shade, which really compliments the over-all natural aspect of her summertime style. I suggest Laura Mercier Lip Stain in Shy Pink as a base, followed by a coat of super shiny Chanel Lévres Scintillantes Glossamer in Seashell. Optional: for an extra dewy finish, add a spritz of Sue Devitt’s Mist. It not only sets your makeup nicely but feels super refreshing to boot. Volia! 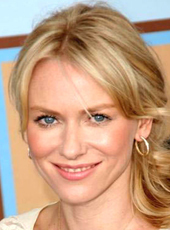 You’ve got a nice, natural, Naomi-Watts-approved summer glow. 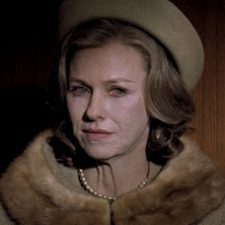 Now go find an East Hampton, celebrity packed party and show it off! Film Production Wraps for Chbosky's "The Perks of Being a Wallflower"
LISTEN: The Doors vs. 2pac — "Do You Believe in the End"